New week new challenges. 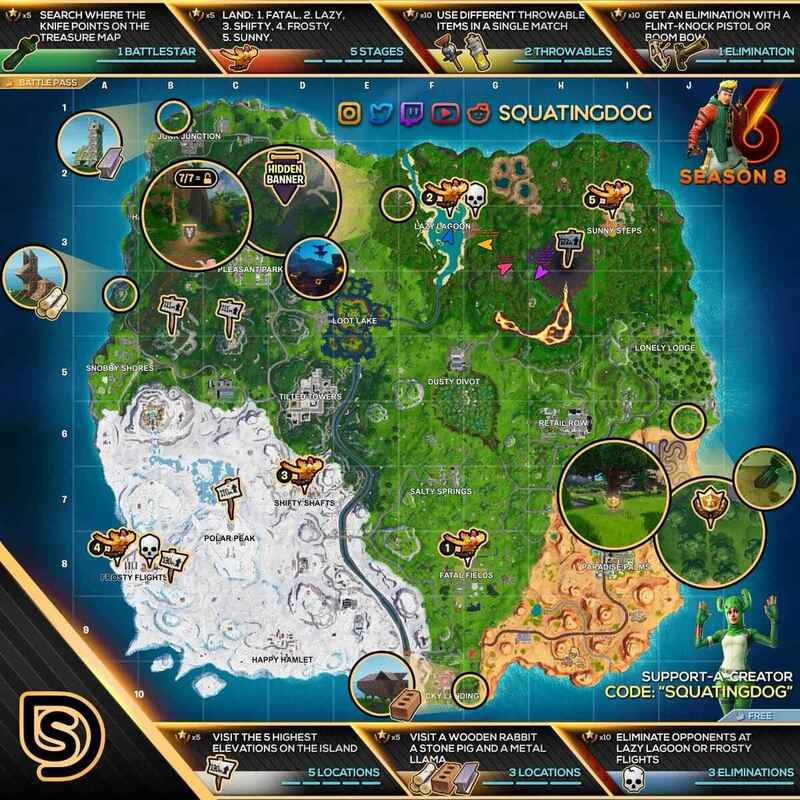 Fortnite Season 8 Week 6 challenges have arrived and to help you finish all the challenges this week, here is a quick cheat sheet that you need to take a look. For the 6th week, most of the challenges involve visiting various locations in the map and eliminating your enemy with specific weapons. Let’s get started. For those who want to finish these challenges as fast as they can, please refer to the cheat sheet guide provided by The Squating Dog. And that’s for this week’s challenges. Want more Fortnite guides? Then make sure to check our Fortnite guide directory by clicking here.